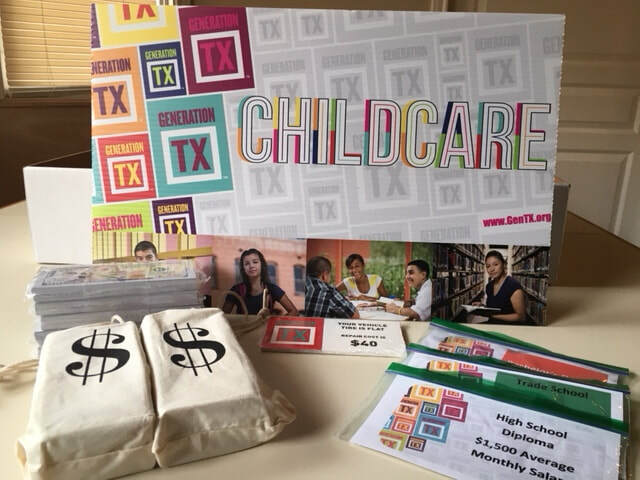 Reality GenTX is an interactive game where students gain important knowledge of the realities of life while increasing awareness of the importance of higher education. All materials are branded with GenTX logos. Available for for purchase for $300 + Shipping. 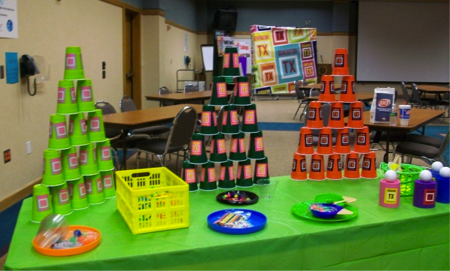 Use these Minute to Win It games such as cup stacking, helping hands, and Ball-Balance to draw your students in. Use as an ice-breaker to begin that conversation about college and career readiness. Instantly dress up your event with our “College Knowledge” letters. These are a great and easy way to pull the room together. 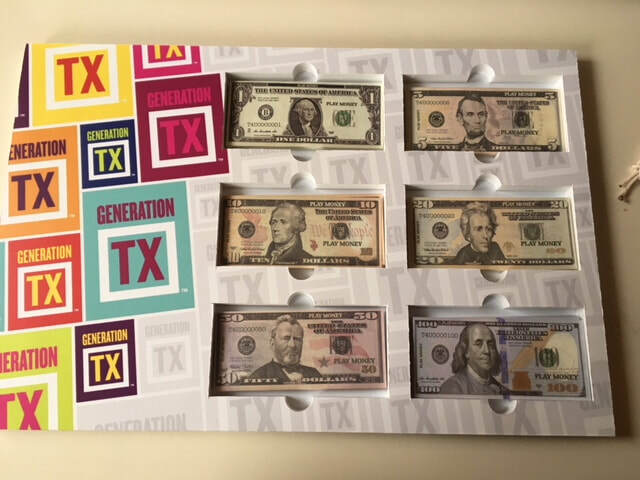 "Generation TX" letters also available. 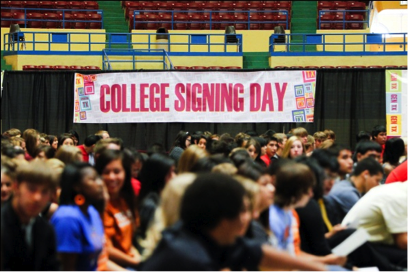 Preparing your own College Signing Day? Check out our College Signing Day Banners and use them to dress up your own event. Have an event outdoors? 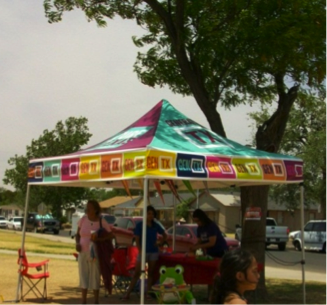 Use our GenTX Tent to spruce it up. Perfect for indoor and outdoor use. Approximately 10'x10'.